Looking for a golf driver or hybrid that is high quality, yet inexpensive? How about a golf wedge or putter? 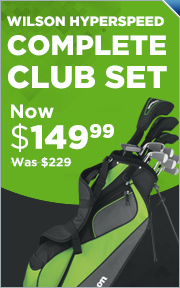 No matter if you are right handed or left handed, looking for men's or women's, individual clubs or complete golf club sets, GlobalGolf.com has the golf clubs you are looking for. Graphite shafts, steel shafts, from brand new and Mint condition golf clubs (which are like new) to Fair condition which may be a little scratched, but 100% playable, you will love our selection of golf clubs and prices. At GlobalGolf.com it is important to us you love your golf clubs that is our clubs are inspected and rated. We also have fast shipping and great customer service. 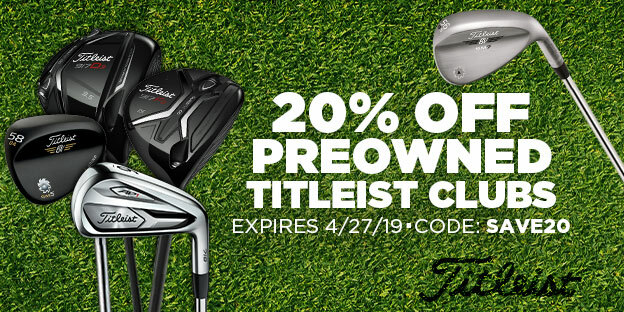 Don't forget to join our mailing list and receive promotions on your favorite brands: Nike Golf Clubs, Callaway Golf Clubs, TaylorMade, Mizuno and many more.